This late 1880s antique is made out of gilt silver and Bohemian garnets. 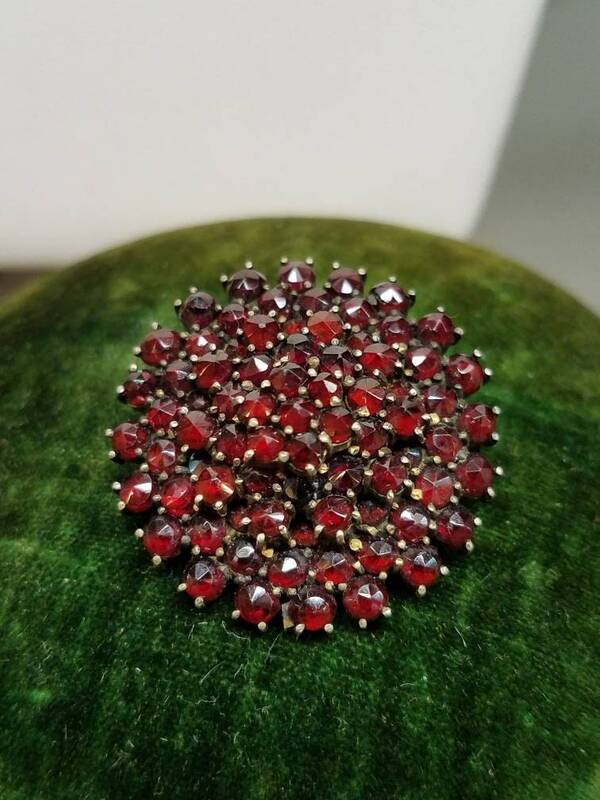 The design is in three different tiers, allowing you to admire all of the garnets fully. 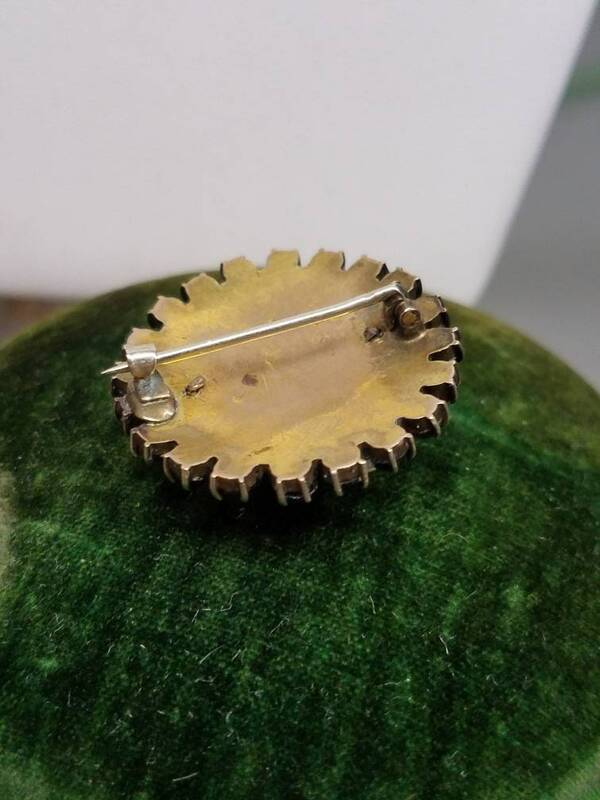 This piece has a working back "c" clasp. 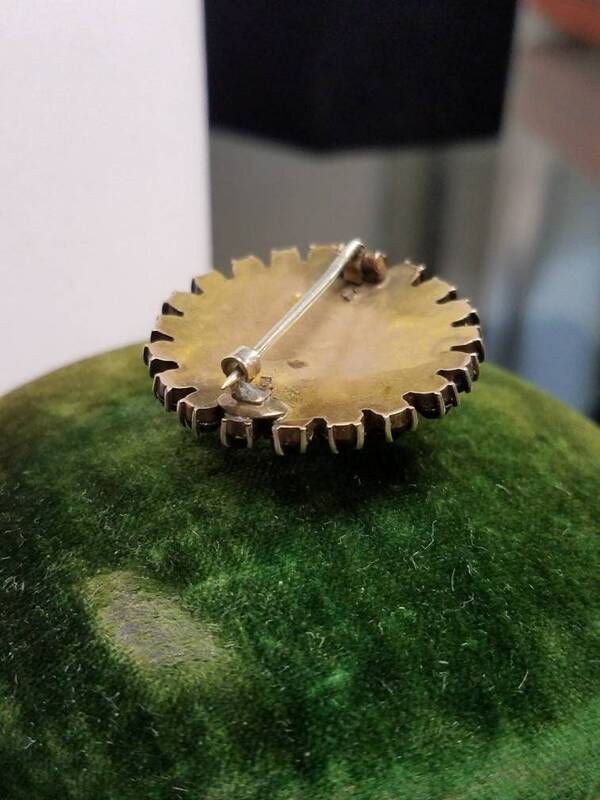 This piece is ~1.25" in diameter.